Now even watches will come in a traditional outlook. This product changes the very setting of the house and adds a refreshing touch. The vibrant Read More..red, yellow and green color attracts people. The marble watch is bordered with stone work. The watch is nestled in the middle surrounded by rectangular patterns of designs. 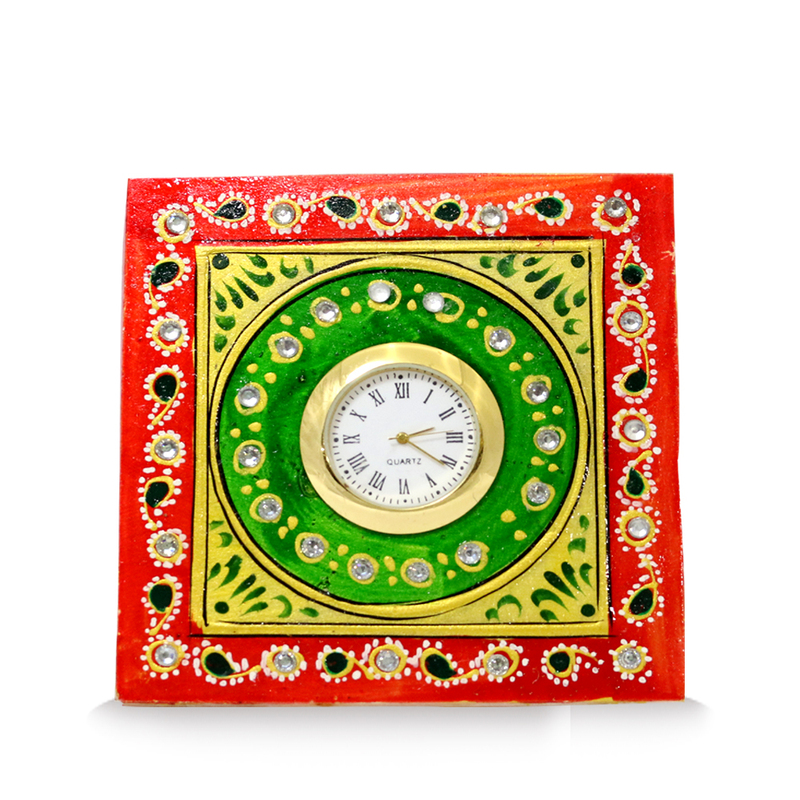 The presence of such a table clock will surely make people understand your brilliant taste for decorative pieces. Show Less..